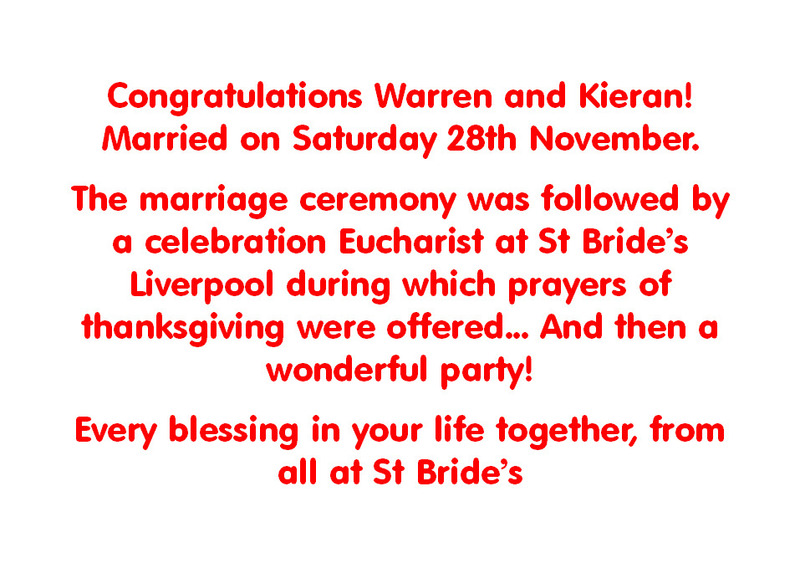 Congratulations Warren and Kieran! 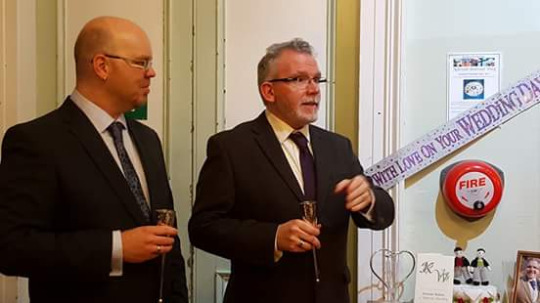 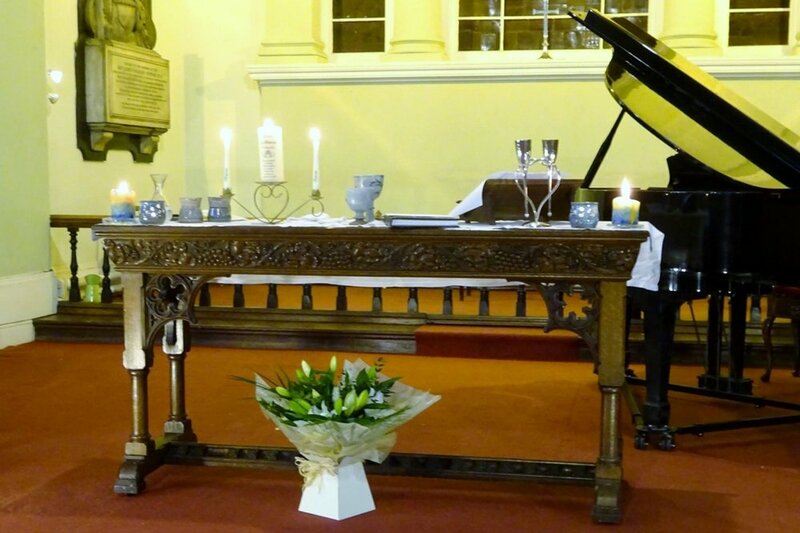 Their marriage ceremony yesterday was followed by a celebration Eucharist at St Bride’s at which prayers of thanksgiving were offered. 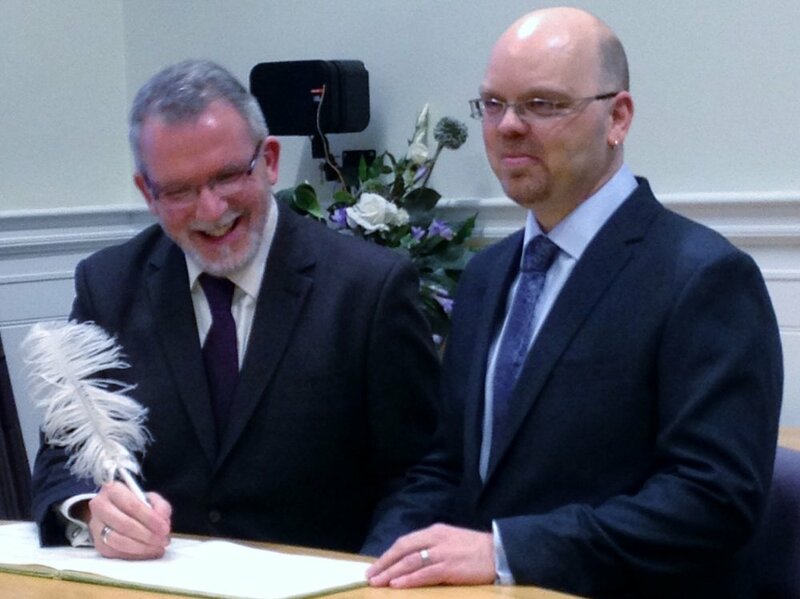 Congratulations to Nikki and Philip!